My family and I often go to a restaurant in Buti. 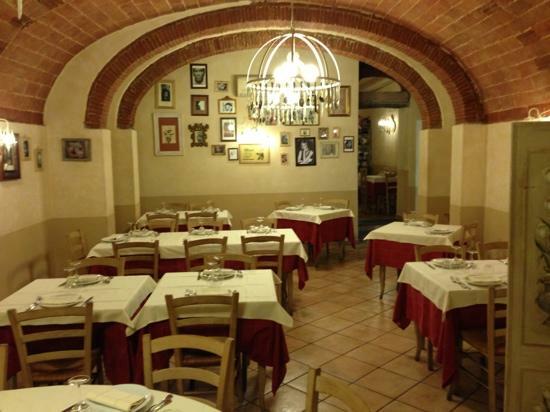 It is near the square, the rooms are simple and old, but are very welcoming and the atmosphere is pleasant. They serve the typical dishes, but there are also so many types of dishes you can choose. The owner is a friend of my parents and also his family that works in the kitchen, so when we go there we spend a good evening, the waiters are very helpful. When my sister and I go there we always order the same dish, ravioli and potato dumplings with walnuts. Prices are very affordable, you spend what you would spend in a pizzeria, so it is better to enjoy a delicious meal in a restaurant at the same price.